The body has become a key theme of academic study across disciplines of sociology, cultural studies, anthropology, and psychology. 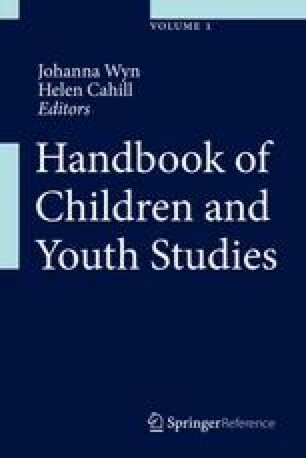 Although the body has become a central focus of much theoretical work, in childhood and youth studies, the physicality and materiality of the body is more often than not taken for granted or is an “absent presence.” The body often remains implicit or as a site upon which societal inequalities play out, rather than an active force. Where the body is directly addressed in studies of childhood and youth, it is often identified as the site of social or cultural “problems,” such as in the growing alarm surrounding rates of childhood obesity and poor body image. Theories of embodiment aim to place the body and embodied experience at the forefront of analysis to highlight the active relations between bodies and the social world and to correct previous approaches in which the body is invisible or rendered inferior to the mind in a binary logic. Theories of the body have implications for research in childhood and youth studies, as all major “structural” inequalities such as gender, class, race, sexuality, disability, and place are necessarily embodied. This section places bodies at the center of discussions in the study of childhood and youth. Julia Coffey would like to acknowledge that the work was done whilst she was employed as a Research Fellow at the Youth Research Centre, University of Melbourne.